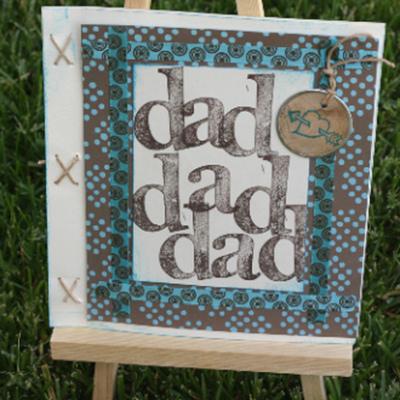 Father's Day is sneaking up this Sunday! I love how Laura stitched down the left side of this one, makes it feel like a little book for dad to open. Stick some pictures in there, he'll love it. Love the blue & brown, too.